KnowledgeTree helps you unlock the value of our sales assets by aligning them with your sales process right in Salesforce. 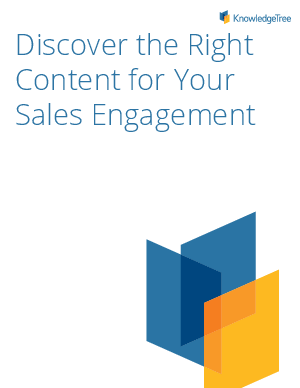 Sales people now has access to the right assets at the right time, right in Salesforce.com. No longer will Sales Professionals waste time looking for a white paper or data sheet to send to a prospect. Marketing also gets insight into what sales tools are working with analytics reported right in Salesforce.com.